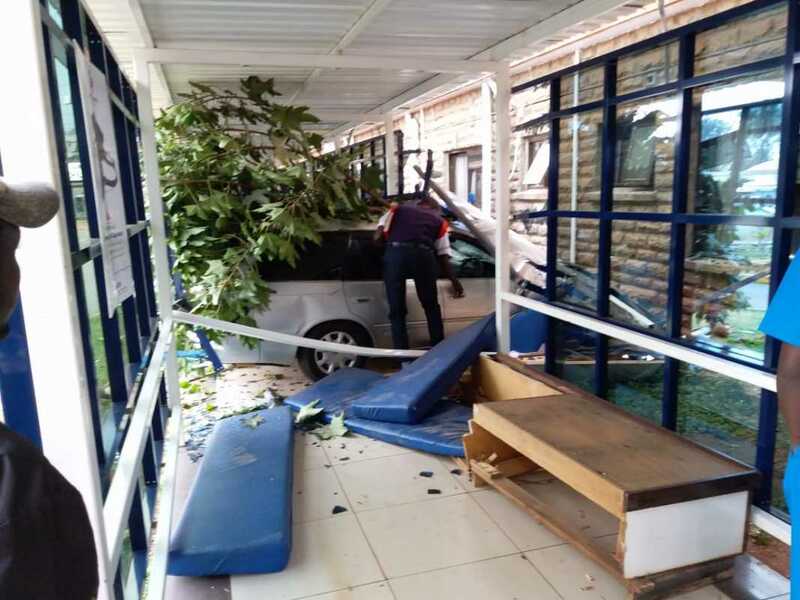 Residents and employees of Mp Shah hospital on Monday 27 witnessed a rather shocking and an “unexpected” accident after a car lost control and crashed into one of their hallways. According to the hospital, the driver lost control while looking for a parking space and ended up driving into the hallway. Only the driver was injured during the accident. The driver left the scene with trauma injuries on his head and couldn’t remember much of what had just happened to him. According to some witnesses, however, the driver was staring at a pretty nurse when he lost control of the car and crashed into the glass partition in the hall way before being stopped by the wall. It’s not yet clear if this is how it happened but the hospital has released a statement saying that he just lost control. 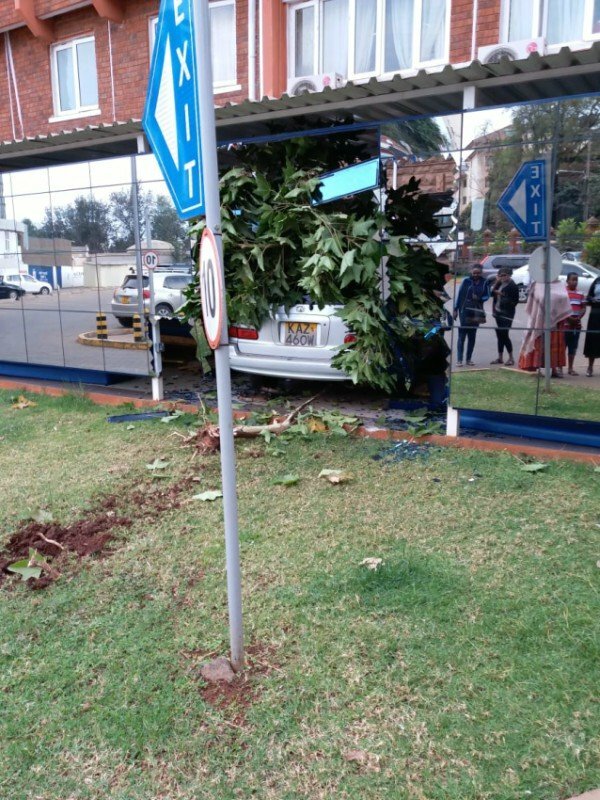 NAIROBIDriver of vehicle KAZ 460W crashed into MP Shah hospital. Patients at the scene are blaming a beautiful nurse, as they say the driver got distracted.